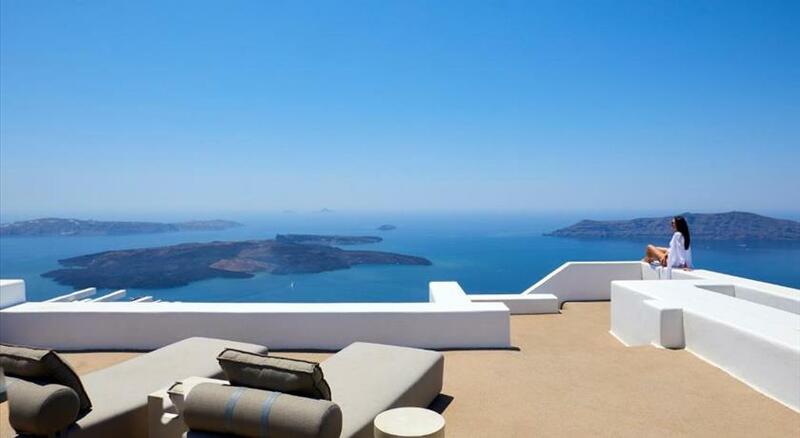 Perched on the cliffs of Imerovigli , Pegasus Villas offers villas with private pools and breathtaking views over the caldera . It has a pool with a poolside wine bar, as well as a gourmet restaurant. Villas and suites at Pegasus are minimally decorated in grey and white colours and feature built-in beds with goose feather pillows and satin linens. Facilities include free WiFi, satellite LCD TV, DVD player and iPod docking station. Decorated with Venetian stucco and glass mosaics, the bathrooms come with signature toiletries, bathrobes and slippers. 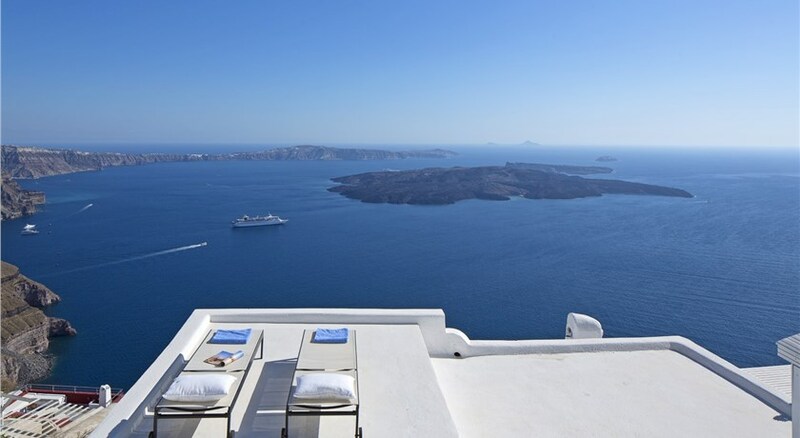 You can start your day with a traditional Greek breakfast, while the on-site restaurant serves local delicacies with fresh Santorini an products. At Pegasus wine bar you will taste wines from all over the world. The Prehistoric Thera Museum is 1.5 km away and Cape Columbo Beach is 5 km away. 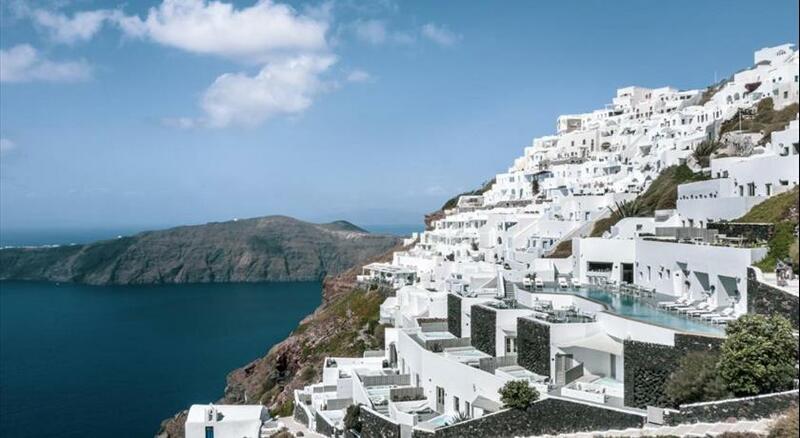 The bustling town of Fira can be reached at a 10-minute drive. Free parking is possible on site. Children cannot be accommodated at the hotel. One adult is charged EUR 70 per person per night when using existing beds. There is no capacity for extra beds in the room. There is no capacity for cots in the room. Please note that the outdoor pool is heated in April, may and October. Please note that all private hot tubs and pools are heated throughout the year.